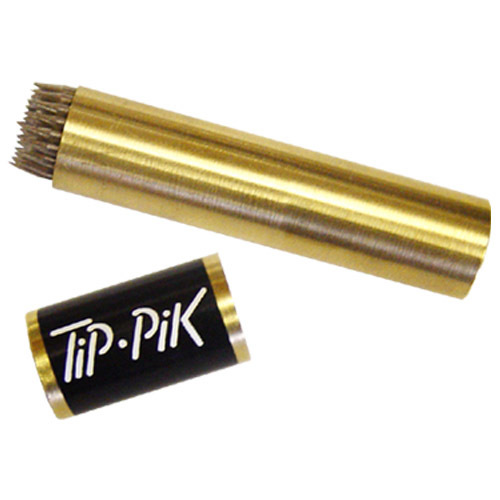 The Tip Pik contains dozens of needles which properly prepare your cue tip for peak performance. The tiny dimples allow chalk to be retained, and help the tip to grip the cue ball. Better grip means better english.